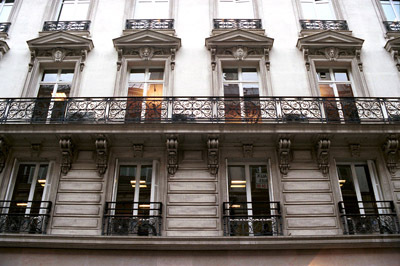 The flat at 41 rue de Provence was rented not by Berlioz but by Marie Recio under her name (CG no. 1191). Although Berlioz started to live there with Marie Recio from some time in 1844 until his departure for London in November 1847, his legal address remained during this period 43 rue Blanche (and then 65 rue Blanche), where Harriet Smithson continued to reside. The first known reference to 41 rue de Provence in the composer’s correspondence is oblique: in a letter dated around 15-18 October 1844 Berlioz tells his correspondent that he is not yet settled in his new flat, but that he is welcome to come and visit him the following day at 41 rue de Provence where he says he will be; in other words he is giving the impression that it is not his actual address (CG no. 922; cf. nos. 942, 961). The first letter to give 41 rue de Provence openly as his address dates from 26 December 1844 (CG no. 930), and thereafter mention of this address is common in the correspondence. After 1845, and after his return from his second trip to Germany, during which Marie Recio accompanied him and presented herself as his wife, Berlioz is even prepared to use the address with persons in Paris in official positions (e.g. CG nos. 1062 [the Minister of War; in vol. VIII], 1068 [King Louis-Philippe], 1078bis [the Duchess of Orleans; in vol. VIII], 1119 [the Minister of the Interior], 1123 [the directors of the Opéra]). Other letters of Berlioz in this period occasionally give the address 43 rue Blanche, though only down to 1845 and before the German trip. But to his family Berlioz appears not to have revealed the address at 41 rue de Provence: to his sister Nanci, at any rate, he twice gives his address as no. 10 rue Neuve St Georges, which was the address of Salle Sax (CG nos. 1045 [29 June 1846], 1120 [31 July 1847]). It was during his stay at 41 rue de Provence that Berlioz wrote, among other works, the cantata Chant des chemins de fer (CG no. 1044bis) and completed the Damnation of Faust (e.g. CG nos. 1057, 1068, 1078bis [vol. VIII]). Marie Recio continued to rent the flat till some time early in Berlioz’s first trip to London of 1847-1848; a letter of Berlioz dated 24 April 1848 states that Marie Recio had now moved out of the flat and would shortly be joining Berlioz in London (CG no. 1191); this is the last mention of the address at 41 rue de Provence. 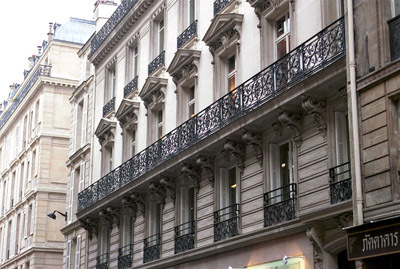 On his return from London in July 1848 Berlioz moved in to 15 rue de la Rochefoucauld, where Marie Recio may have already settled earlier in the year before she joined him in London. The photos below show the present no. 41 rue de Provence. It is however unlikely that this is the building of Berlioz’s time, although it is seemingly mentioned as such in Jacques Hillairet’s Dictionnaire historique des rues de Paris, vol. II p. 307. Although the building to its right has the number 43 and bears a plaque with the date 1842, the present nos. 39 and 41 are aligned further back and may date from the time of the creation of the rue Lafayette in 1862 which intersects the rue de Provence. The opening of the rue Lafayette at a sharp angle with the rue de Provence may not only have caused a renumbering of the rue de Provence (there are gaps in the numbers after no. 25, which bears a date of 1921), but will have involved the destruction of a substantial number of buildings, not accounted for in the present numbering which goes straight from no. 35bis on one side of the rue Lafayette to no. 37 on the other. It is thus possible that Marie Recio’s flat at the then no. 41 rue de Provence has disappeared altogether. We are grateful to M. Ludart, a visitor to our site, for help on this matter. All photographs on this page were taken by Michel Austin in 2000. © Monir Tayeb and Michel Austin. All rights of reproduction reserved.